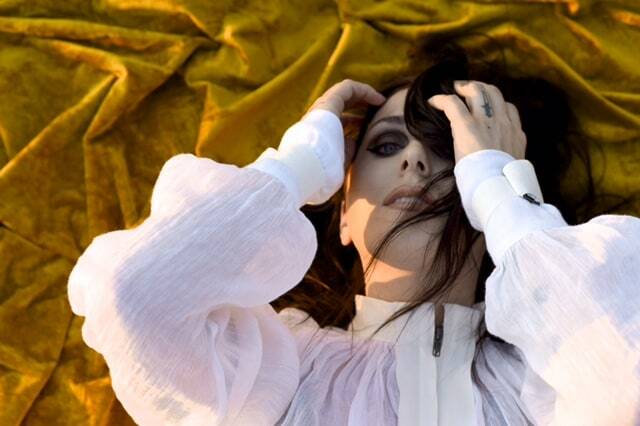 Chelsea Wolfe is about to release an incredible new album, Hiss Spun. She's always embraced doom, but now it's clearer than ever. Premiering today on The FADER is "Vex," a stunning, breathy, pared-down metal track. "Every day, at dawn and dusk, a mysterious hum resounds in the deep sea for about an hour," Chelsea wrote in an email to The FADER. "The source of this hum is unknown, but it may be a kind of instinctual guide to the creatures who live in those dark depths, to rise and feed, surviving another day. "I follow my own hum, pushing forward despite anxieties, nightmares, and scavengers that try to pull me down into their depths. I also acknowledge my own fragility in contrast to my own strength and anger. "'Vex' began almost as a black metal song, with a pummeling blast beat, then Ben (Chisholm) and I stripped it back to a more industrial electronic sound. Once we were in the studio, Jess Gowrie’s drums and Troy Van Leeuwen’s guitar parts began to shepherd it back toward its heavy origins. "I knew from the beginning that I wanted Aaron Turner’s voice somewhere on this album, and could hear him in my head on 'Vex.' I had already recorded my vocals for the song but decided to send it to Aaron without them on. Happily, the first time we played it back with both vocal parts they fit together in a very compelling way." Listen below. Hiss Spun is out September 22 on Sargent House. Preorder it here.